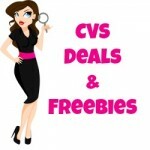 Here are the CVS Coupon Matchups starting 7/14! Be sure to check out the CVS 101 post if you are new to shopping at CVS. (excludes 1 Minute Wrinkle Eraser pen and clearance items). Rite Aid Coupon Matchup 11/24/13! Time to beautify and have an iced coffee in the heat! Great deals on the Revlon Nail Polish, Whitestrips and Starbucks! Thanks!